Let us inspire you with our pick of what's on around Hong Kong this week, 24 August 2018! Planning for the week ahead? 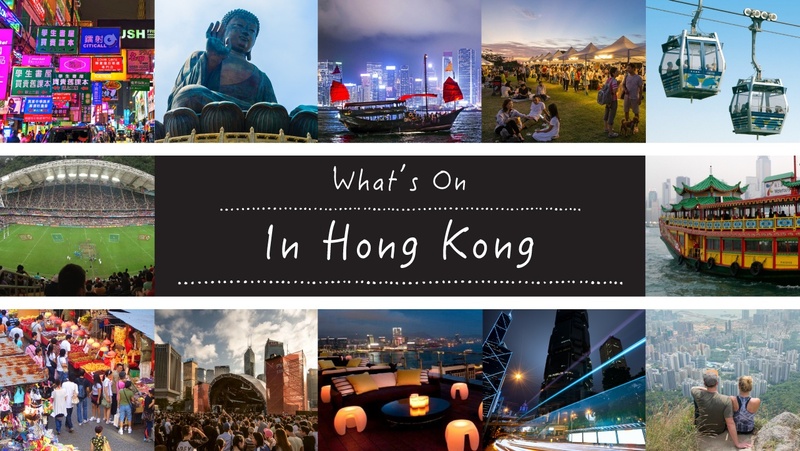 Let us help with these highlights of what’s on in HK this week 24 August 2018. Want more? Check out our comprehensive what’s on guide with full listings for the months ahead here. Now in its 4th year, the Hong Kong International Reggae Ska Festival is bringing some of the world’s finest full size bands, selecters and vibes to the heart of Central for the biggest line up yet! As a part of the Jazz-Go-Central and Jazz-Go-Fringe projects, Big Band Nights will feature different local jazz big bands performing at Fringe Dairy. Unicorn loving kids will be heaven at this rainbow and unicorn tea party at the Mira. Expect a fantasy ambiance, plenty of photo props and some cute & tasty treats for tea! Hong Kong Pub Crawl has been redefining Hong Kong’s nightlife since 2010. Their crawls are famous for off-the-beaten track venues and excellent drink deals, as well as being the best way to meet nightlife enthusiasts from Hong Kong and around the world. Hong Kong Pub Crawl’s signature Lan Kwai Fong (LKF) Crawl in Central runs every Thursday through Hong Kong’s SOHO and LKF bar districts. Hong Kong Restaurant Week Summer is here! Enjoy 11 days of culinary experiences at amazing restaurants with amazing prices! This is one of Hong Kong’s largest markets featuring brilliant designers from across Asia. It is a collection of innovative design, lifestyle, handicrafts, music, gourmet foods and much more. Hoegaarden will also be on hand to offer refreshing beers, delightful cocktails and delicious Rosée sorbet for guests to keep cool while enjoying live music shows and basking in outdoor fun under the sun. Showcasing the stories of 100 people who are related to the Central Police Station compound (CPS compound) in different ways, this exhibition reveals the multifold facets of the compound history in an invigorating storytelling approach. Fighters from 9 countries will face off in a series of fights with the main event being the WMC I-1 World Super Title Championship.